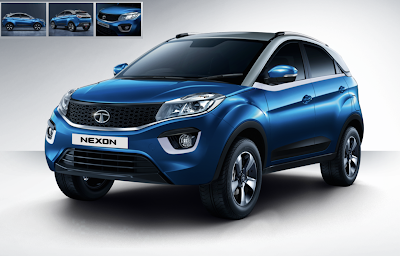 No doubt, Nexon is a game changer for Tata. With its stunning style along with the feature rich body keeps all its competitors far far away. From the traditional hatchback and SUV models, a hybrid model has come up, with well engineered and well architected design, we would say, this is a revolution in Indian automobile industry! These are the colour variants of Tata Nexon available in the market. Out of these variants, only in Moroccan Blue, Vermont Red and Calgary White has the dual-tone roof option available.